We, the parents, are keen to help our children grow happy and healthy. The physical fitness is still under the scanner of the parents since it is visible. But to what extent are we successful to find parameters to measure our child's mental health. Incorporating some constructive habits into the routine play of children is strongly recommended by me to all parents and it is easy to do it simply by having a some educational games in the vast collection of toys that we provide to our kids. Keeping a puzzle on a table ready to be played with parent and siblings is one of the most encouraging activity for children that excites natural sense of wonder and amazement in them and in turn they will want to learn more every passing day! I had a very pleasant and satisfactory experience with one such educational game that was recently launched by India’s most innovative physical toys and games company MadRat. MadRat Games is India’s most innovative and fastest-growing physical toys and games company. MadRat has brought innovation to a dead industry where even after 30 years, the games are still sold in the ‘Mithai ka Dabba’. Based out of Bangalore, the company is dedicated to bring in the culture of learning through play to India. Since its inception in 2010, the company has sold over 275,000 game units and has partnered with Nokia, Google, Intel, Cornell & the Government of India for original game development. 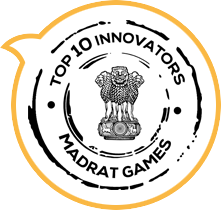 In the last year, MadRat launched 70+ game titles. For their efforts, they are ranked amongst the Top 10 Indian Innovators by the Govt of India in Dec 2012 alongside Tata Motors. 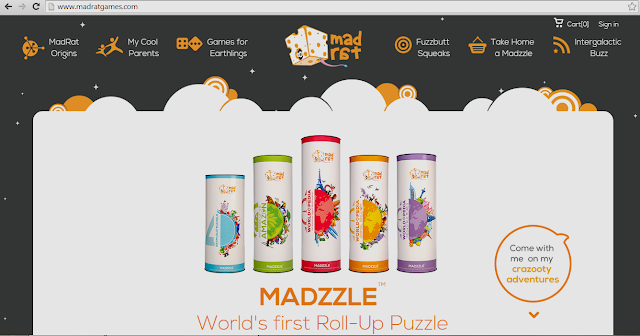 A break from new-gen troubles like iPad Addiction and Internet obsession, MadRat Games has unveiled Madzzle. Madzzle is a universe of engaging games which explore the most exciting worlds on our Planet & beyond! It is the World’s First Roll-Up Puzzle™ with patent pending Zero Gap™ Technology. What Makes Madzzle A Unique Puzzle? Zero Gap™ Technology: Madzzle jigsaw pieces join together without a gap between them, unlike usual puzzles, for a perfect picture. 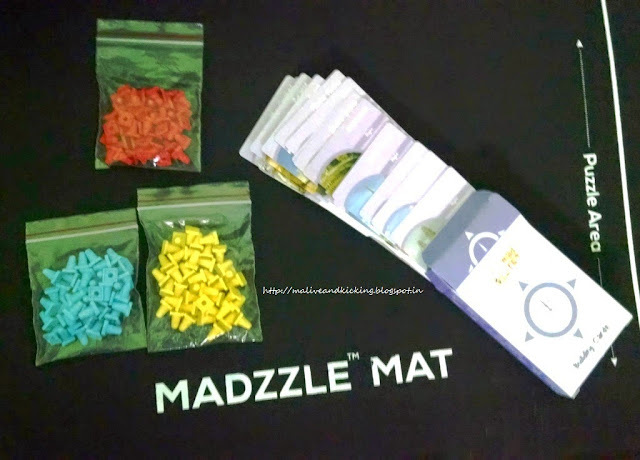 Madzzle Mat: The frame & magnetic locking on all sides of the mat make assembling the jigsaw easier, and losing the pieces difficult and lets you play on soft surfaces. Object Hunt game: Gone are the days when you just sat and looked at the puzzle after completing it. 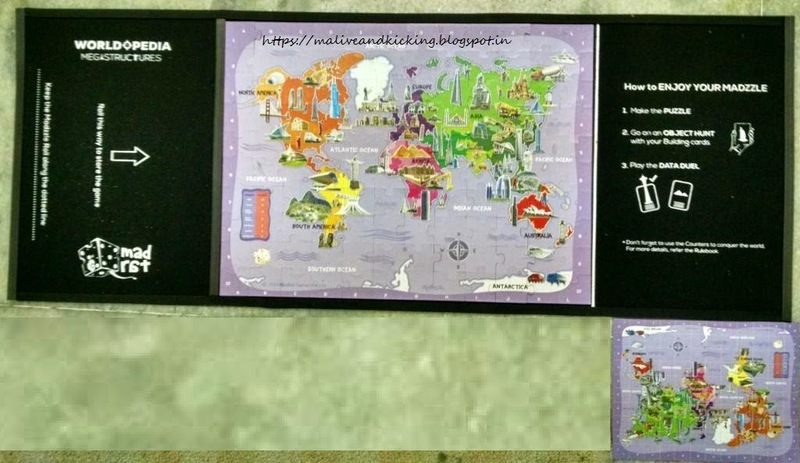 Madzzle puzzles are equipped with fact cards that can be used for object hunt and exploring games, making it a new game every time with the same puzzle. So now, play an exciting object-finding game with the cards, full of amazing facts from around the world. 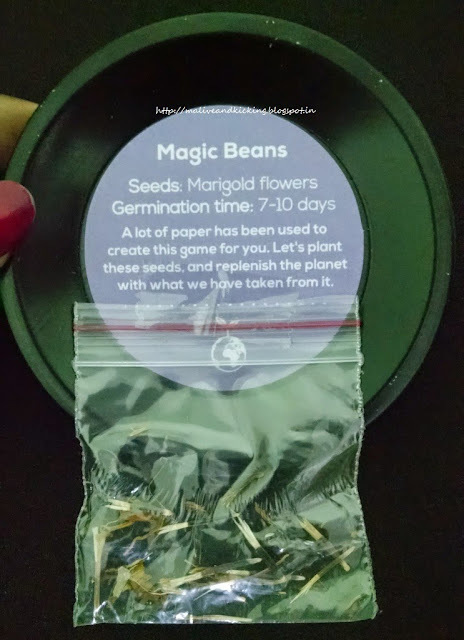 Magic Beans: Since a lot of paper has been used to create these games, Madzzle includes special Magic Beans inside the puzzle pack. It’s a small way of giving back to the Earth what has been taken from it. So plant them, nurture them and see what blooms! Wanna gift your child a seamless play experience, order Madzzle at madratgames.com. 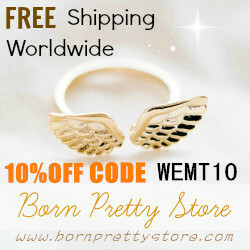 Price: between Rs. 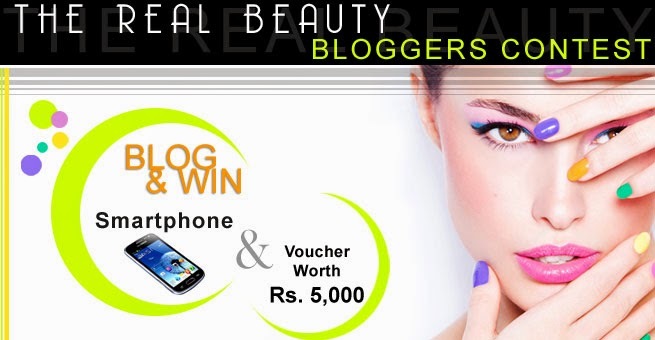 500 to Rs. 1000. 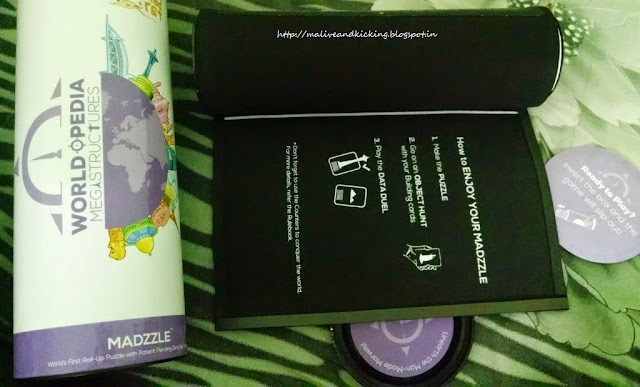 Madzzle is a fun puzzle that influences a child's brain development. It is available in 5 variants, viz. Madzzle Worldopedia, Madzzle Worldopedia Megastructures, Madzzle Worldopedia Animals, Madzzle Bermuda Triangle, Madzzle Mysteries of the Amazon (seen in the pic below). Each of these focuses on different genre/theme and is crafted thoughtfully for the children in the age group of 7-12 yrs. My child liked the Madzzle Worldopedia Megastructures the most. The pack includes 120 Puzzle pieces, 55 Building cards, 120 Counters, Madzzle Roll and Mat, Magic Beans, Rulebook & Pamphlet with reference image. Its been more than a month now playing with Madzzle and he has cultivated a multi-skilled bend of mind in such short span of time. This educational puzzle has actually worked upon some of the weak areas of my child's personality that I always wanted to polish without any harsh methods. Lack of concentration can lead to disastrous results in whatever we do. And I could not notice much change in my child's level of attention after my religious efforts. Interestingly, since the day I cut down 15 or 20 minutes every day from his TV exposure and told him to complete the puzzle in minimum possible time; he took it as a challenge. 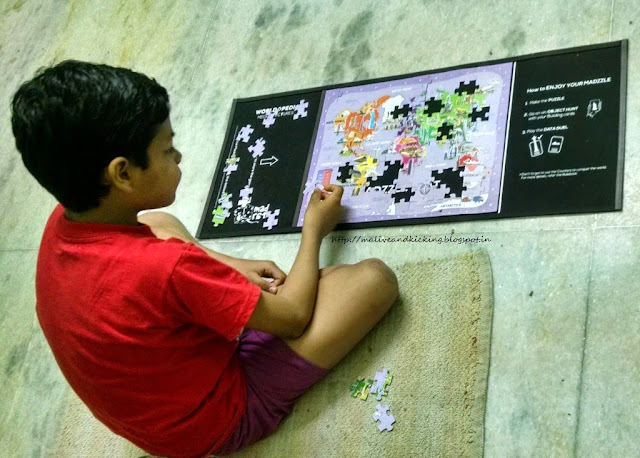 Initially he used 'trial and error' method to solve the puzzle and later got much engaged in the activity with lot of concentration and right hand-n-eye coordination. He himself devised some brainy tricks for manipulating the puzzle in easier manner with every passing day and the result is Improved Concentration. Playing with Madzzle with a confident approach after few days', this roll-up puzzle practically improved my child's memorization capability. 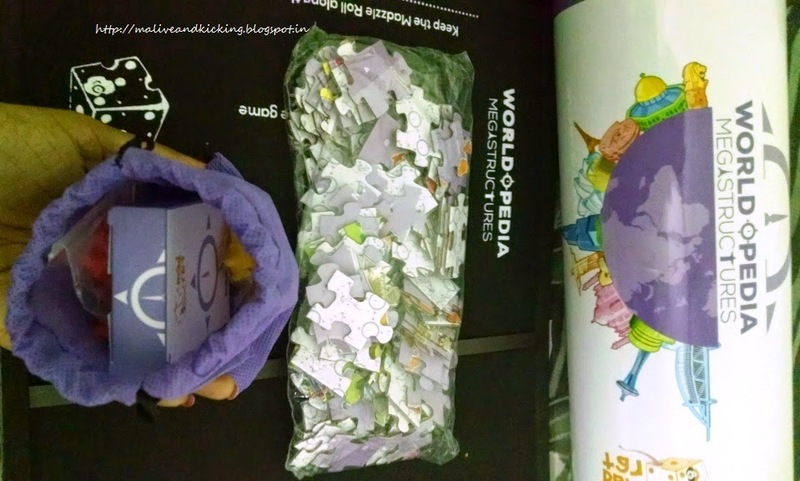 Because when he tried to place a wrong piece while working through the puzzle, he put in his best effort to recall the size, color and shape of various pieces that may fit in there. It is helping in sharpening his mental practices with Better Retention. Object Hunt has been a stage in the puzzle game that he enjoyed the most playing with his peer group. It generated the open-ended imagination in the children while boosting their self-confidence. The competitive spirit reached at its peak point. I felt immense joy to see my child excitedly learning the unheard names of grand monuments across the globe, trying to spell them and trying his best to spot that monument in the puzzle and discover its fascinating facts. And when the alloted time ends after a playful happiness on his face, he carefully rolls his Madzzle for the next day's learning session to resume from same position. 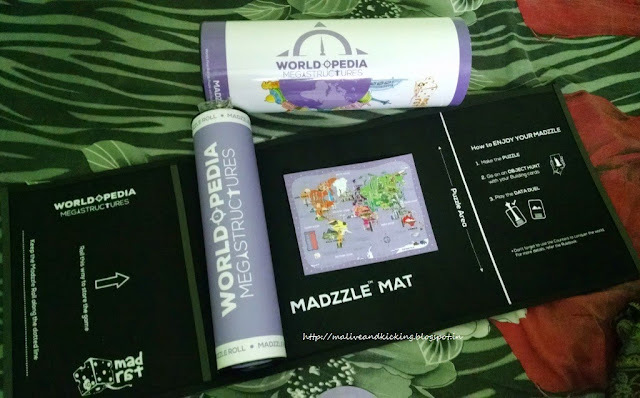 All in all, Madzzle Worldopedia Megastructures is an innovative transformation of a board game into roll-up style that preserves the last played game without a mess. The educational benefits that Madzzle can offer to a child are extensively valuable for raising the level of his comprehensive learning. Not only it proves productive from educational viewpoint but also helps in shaping up child's fine motor skills, team work, classification strategy, Vocabulary building and much more. Its a game that every parent would love their children to play everyday :) I give this roll up puzzle 5 star rating!! Feeling curious to know about other games by Madrat, visit madratgames.com. Looks a very good puzzle game, though my daughter is a little young for this, still I am going to buy it. 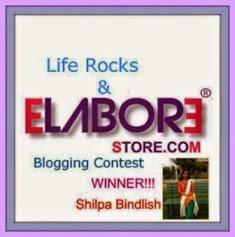 Hey Shilpa, my son loved this review of yours more than me actually. 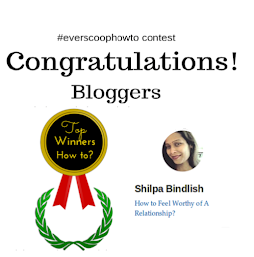 Your blog is turning into a family blog apparently. There is little bit of everything for everyone. Now for this awesome find of yours - Madrat Mazzel. I have never come across anything like this before & I feel its genius. My son loves puzzels but he tends to miss pieces & looses interest after a while. 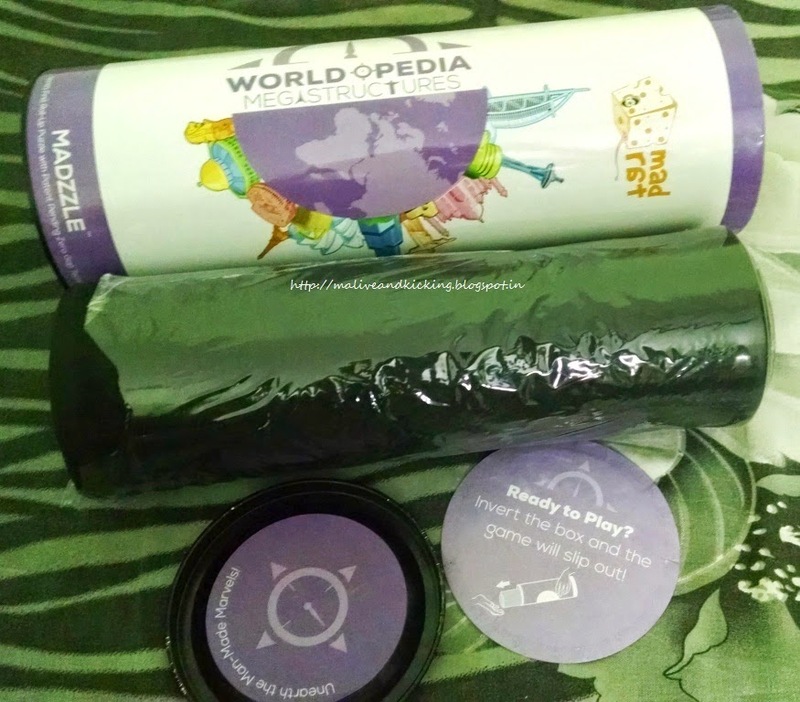 So I love that this Mazzel comes with lot of options plus it is magnetic so pieces will not be missed & since it can be rolled up it is easy to store as well. The best part is the seeds I mean such a noble thought which can be cultivated in a kids mind too. I just love this review. Hats off to you for this review of yours. 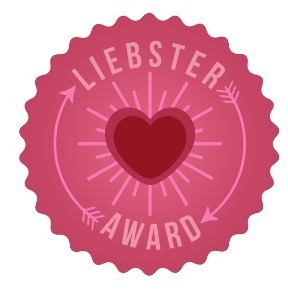 Give a big pat on your back. Excellent job!! !